The warm, welcoming feel of wood meets contemporary, sophisticated living in this amazing range of Italian woodgrain porcelain. Authenticity and sophistication co-exist in a product with a contemporary spirit that stands out for its realism and extremely natural details. 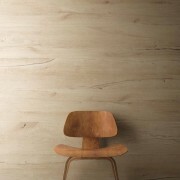 Suitable for both floors and walls throughout residential interiors, Cozy Desert is a gorgeous blonde oak replica.